As fast as it started, September is over. For myself, September is one of the busiest months of the year – a transition month in many ways. 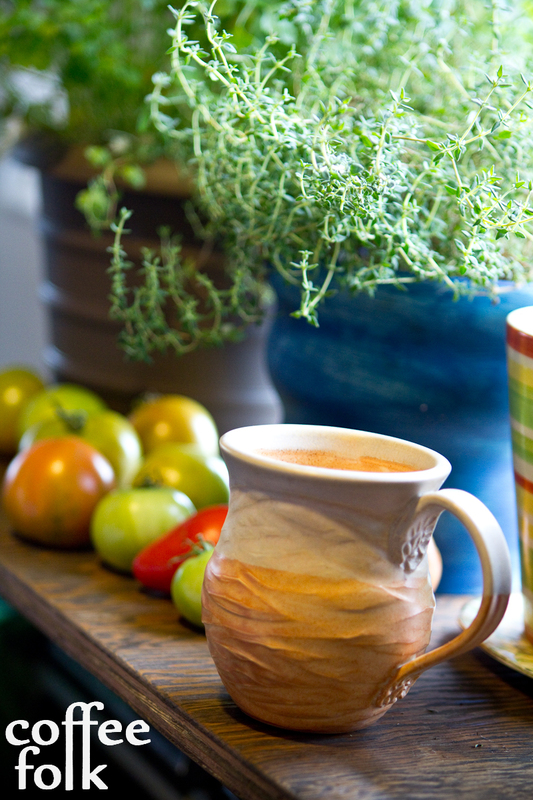 Tomatoes from my garden, with some herbs, and my favourite mug. First, there is a shift in the weather and the wind gets cooler. Second, students of all levels go back to school, including University students like myself. Thirdly, we shift ourselves from the relaxed mood of the summer to a more focused working mindset. For a lot of us, we must shift our idle minds back to the framework needed to absorb information in a school environment – this is very unlike the applied learning of say, a summer job. This is also reflected in the functionality of the local café’s, and many students shift from their summer “lackadaisical” visits to a get-down-to-business utilitarian viewpoint where it is now a working environment. Nevertheless, coffee is more than fuel to me. I still seek a cup that will provide me pleasure; an escape from that working environment. 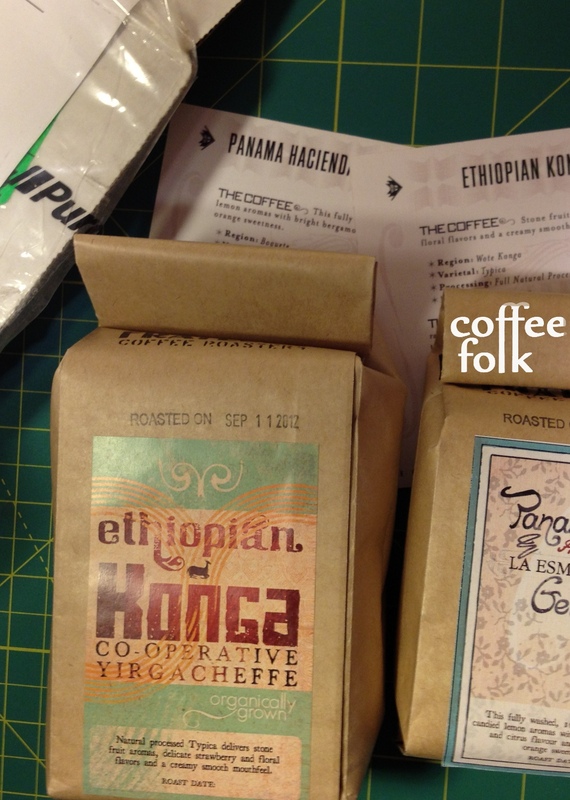 This month I’ve had some really great coffees, most of which still represent a bright summery style. We get the tail end of summer, a harvest season of sorts, much like all the lovely local produce you can get around this time. This coffee was a selection from Steve down at Rocket Bakery. While I was down visiting, he brought this Colombia up. “First time I’ve had a tomato flavour in a coffee I’ve liked”, he explained. An a-typical Colombia is something I really love to see, shaking up some of the stereotypes that often come with Colombian coffees. 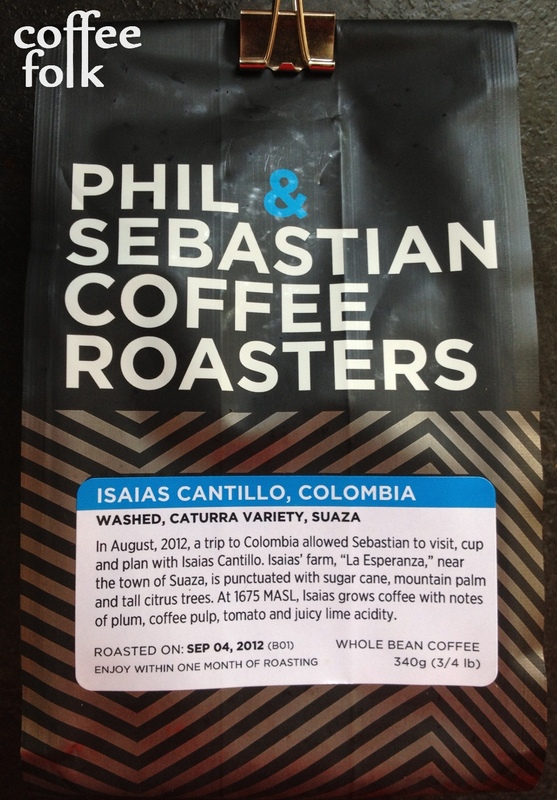 This coffee is surrounded in a little mystery, as when I went to look it up for this post, it’s already in the archives on the Phil & Sebastian website. This was an interesting coffee and really exciting. It’s really amazing how savoury notes in coffee used to be horrible (I can’t place exact dates here) but now many roasters have the nuance to actually play up these aspects in a positive way. The acidity on this was huge, and it really did show bright tomato-like acidity. This was good on both the french press and the clever. I found the clever to edge out slightly, as the press tended to muddle the flavours a little. On the nose I found it had a nice cinnamon spice component, apple, brown sugar, and baking apple pie. On the palate I found it had a huge tomato-lime acidity, with some cherry and plum, with a chocolate/ caramelized sugar finish. While the stone fruit showed some typicity, the huge tomato-lime acidity was really special, almost searingly high. This would have be fun to play with as a food pairing coffee. 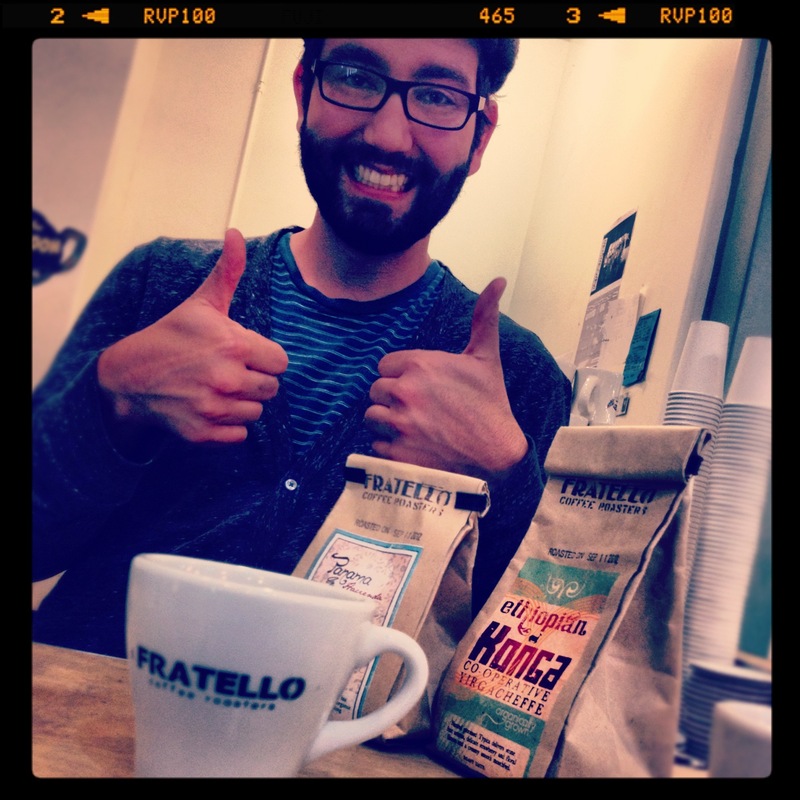 I was actually really surprised to see another package land on my doorstep from Russ @FratelloCoffee2. While I received two coffees from them, again I’d like to put my focus on one in particular here: another Ethiopian Yirgacheffe. This time it’s a natural processed Typica from the Wote Cooperative. This was a really summery coffee, just dripping with strawberry flavours. On the nose I found an obvious aroma of strawberries, citrus and strawberry pastry. On the palate, the coffee developed and changed as it aged. At 5 days off roast until about 12 days off roast I found there was a dominate warm, fresh strawberry juice, much like biting into a harvested strawberry. As time went on, I found the strawberry notes settled a little into a more subtle strawberry compote/ dried strawberry. There was also citrus, brown sugar, and a cranberry flavor and cranberry-like acidity. This was a delicious coffee, and I couldn’t wait to share this one with some of the lads at two local cafes. I’ve even included a photo with the infamous Steve at Rocket bakery I keep mentioning. Personally I found this was the best on the French Press, it really brought out the brown sugar/ pastry sweetness. I’d easily give this a whopping 93+ points, easily one of the best coffees I’ve had this year. Just a great example of what a special coffee can be, plant to cup! I had a delicious espresso at Post Espresso (@postespresso)… “Aperture Espresso Blend”. This is a blend of two washed coffees: a Yergacheffe and a Guatemala Santiago Atitlan (no mention of percentages). It was pleasantly served by a blonde girl… I do not yet know her name. It was a nice, heavily spiced espresso with some fruit and a nice sweetness. I had an amazing pour-over at Fixed Coffee of a 49th Parallel Panama “Don Pepe”. It enjoyed it with a Bagel sandwich (brie, arugula and proscuitto). Great acidity on this coffee, plum and chocolate. Nice sweetness and some Graham cracker. It was delicious right down to the last sip, cooling extremely well. 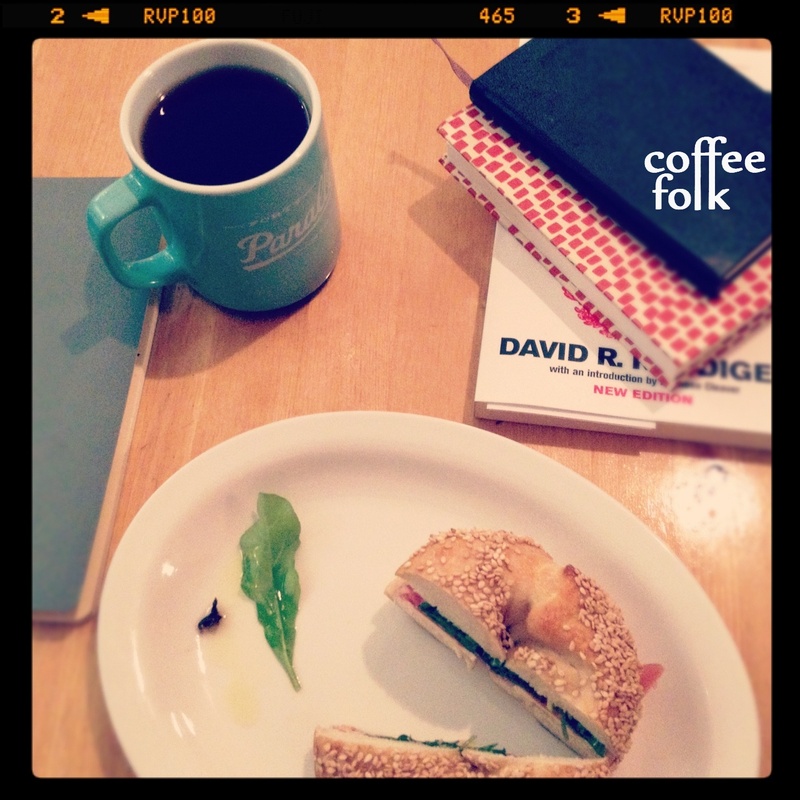 Great combo, sandwich and coffee pairing really well! Rock ‘n roll, bring on the Fall!